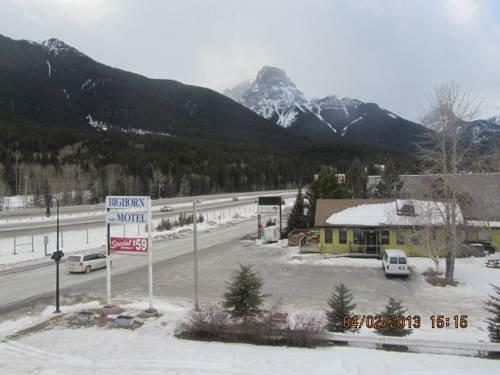 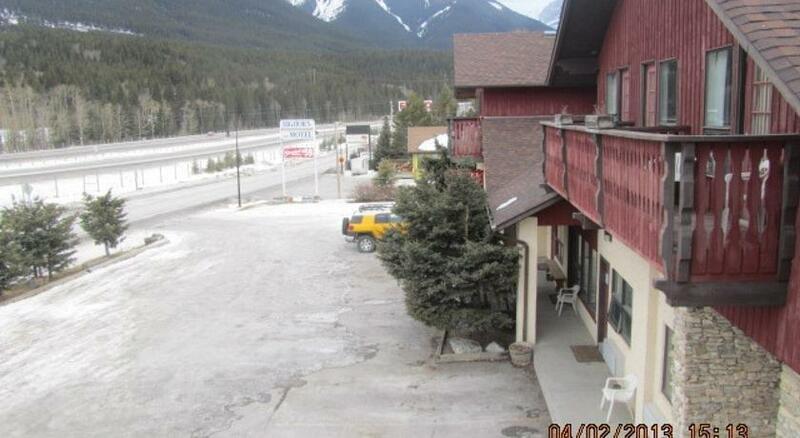 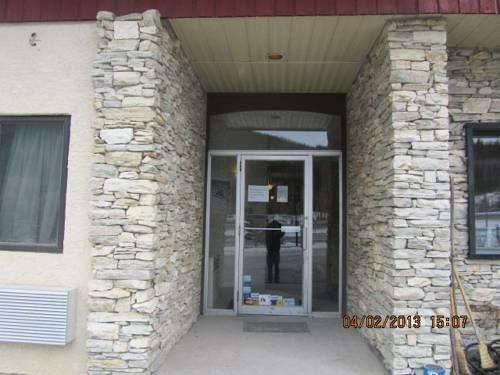 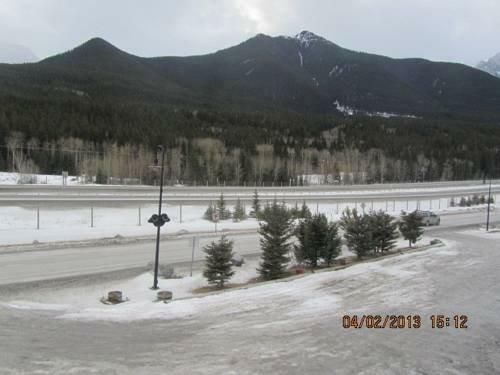 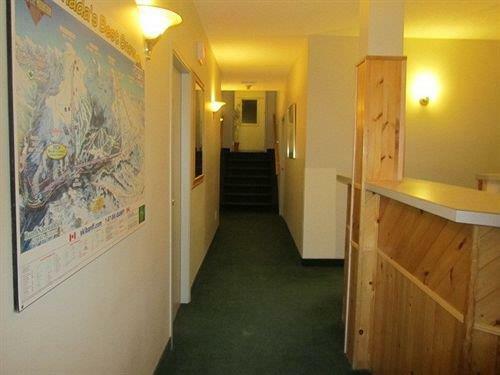 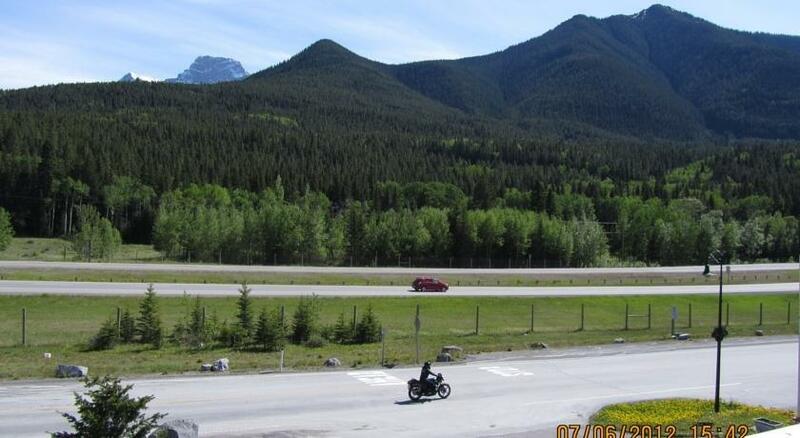 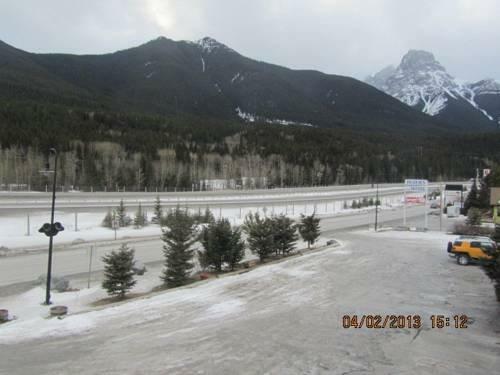 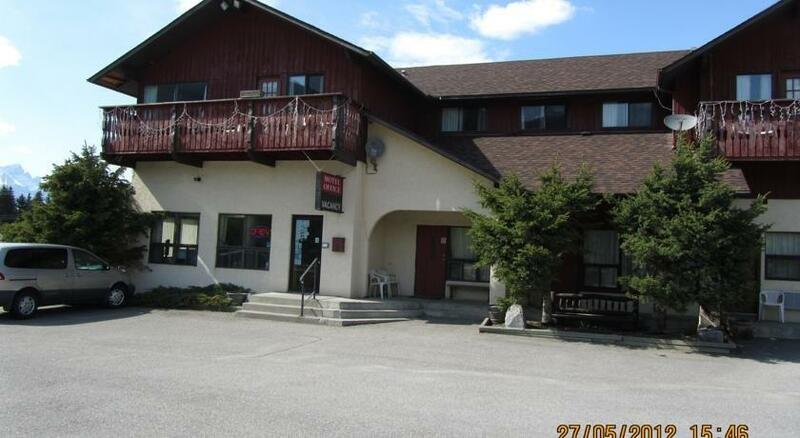 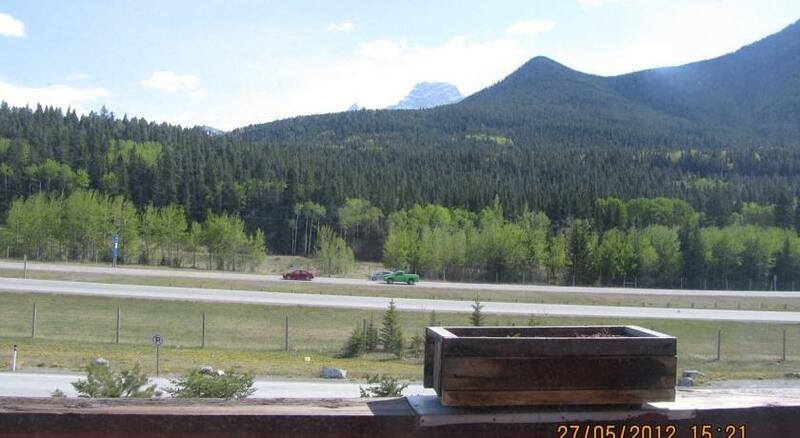 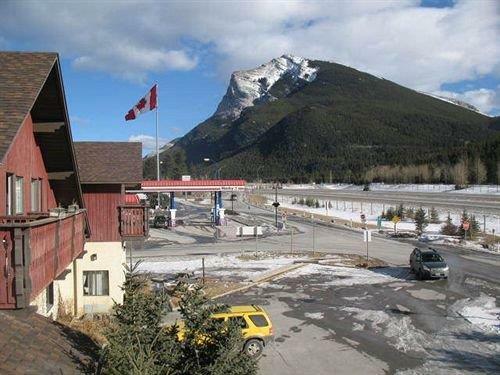 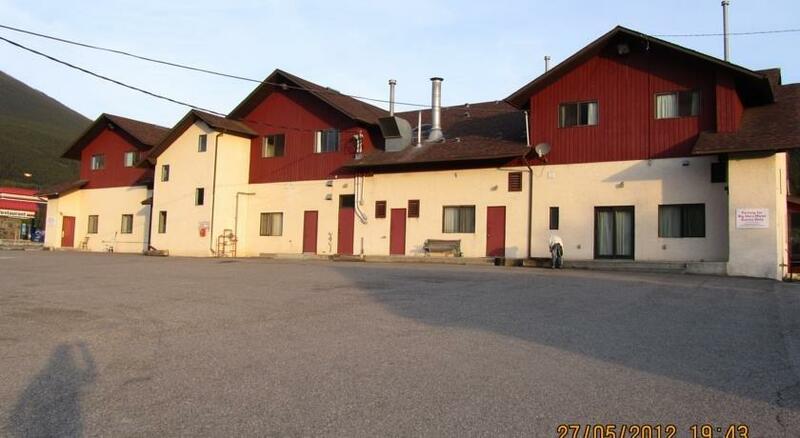 This hotel is situated on the Trans-Canada Highway, about a 5-minute drive east of Canmore. 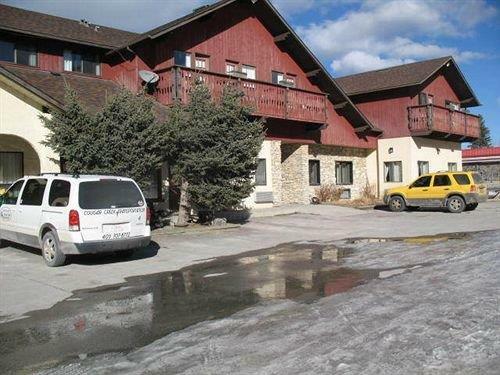 Offering no on-site dining or recreational amenities, this property is well suited for guests looking to explore the area by car. 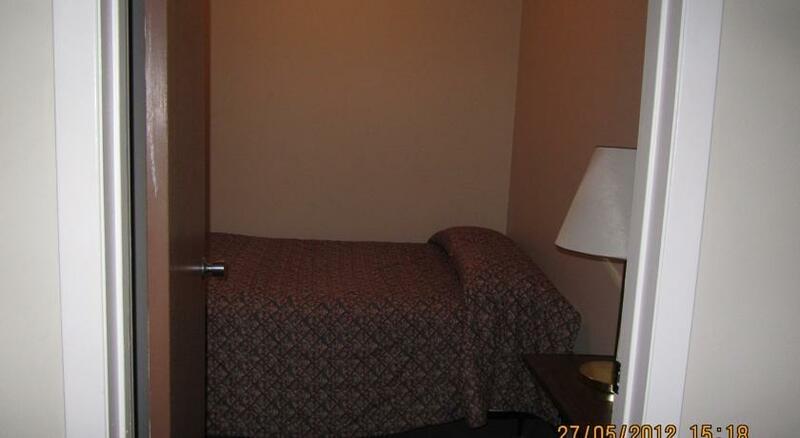 All 27 non-smoking rooms include free Wi-Fi, a TV, a telephone and a coffeemaker. 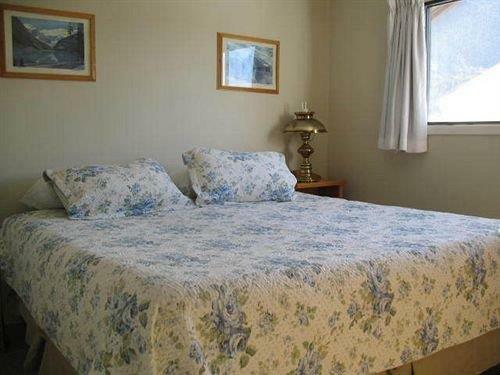 Select rooms also include a mini-fridge or a kitchenette equipped with a mini-fridge, a stove-top, a sink, a microwave, a toaster, cookware and utensils. 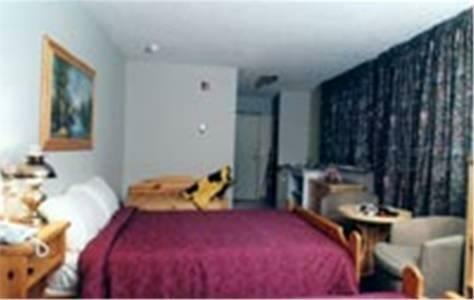 Suites offer more spacious accommodations and are configured with two separate bedrooms, a sofabed, a balcony and a full kitchen. 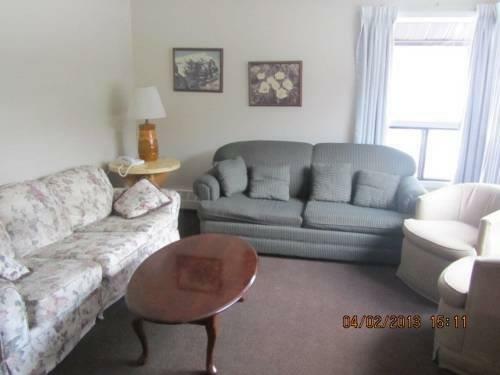 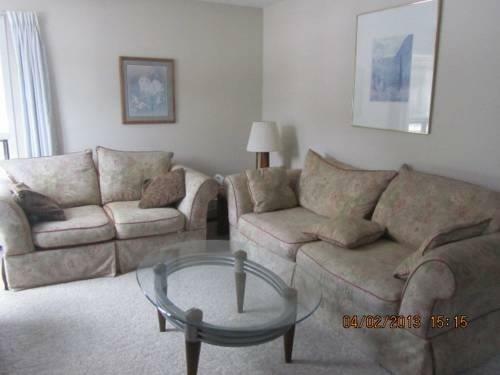 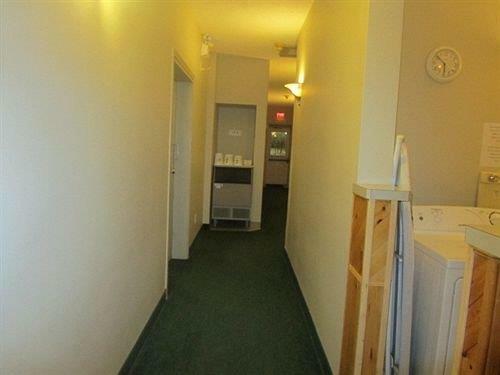 Suites accommodate between two and six people. 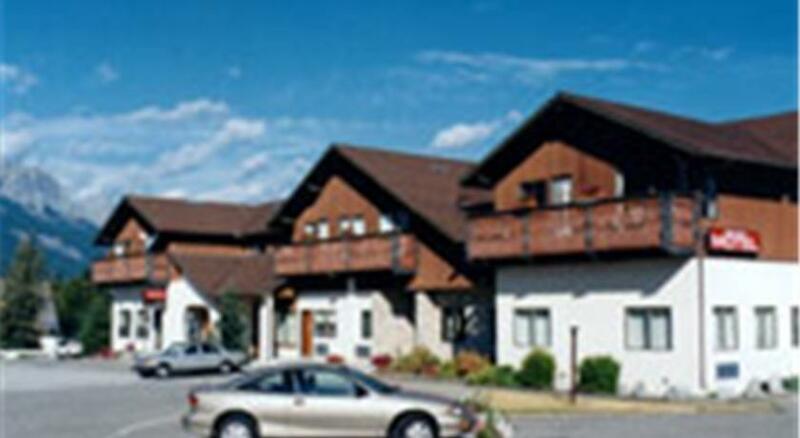 All ground-floor rooms are wheelchair-accessible and this hotel offers one room with a wheelchair-accessible shower. 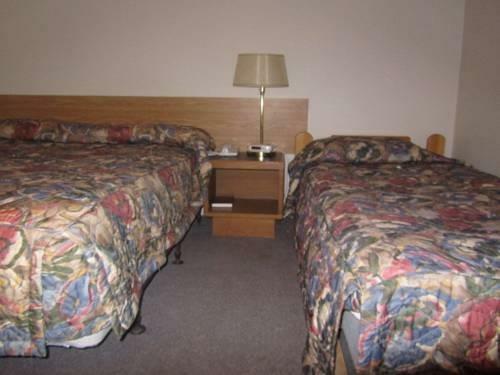 Free parking is available on site (including winter plug-ins) and pets are permitted in select rooms for an additional fee of $10 per night. 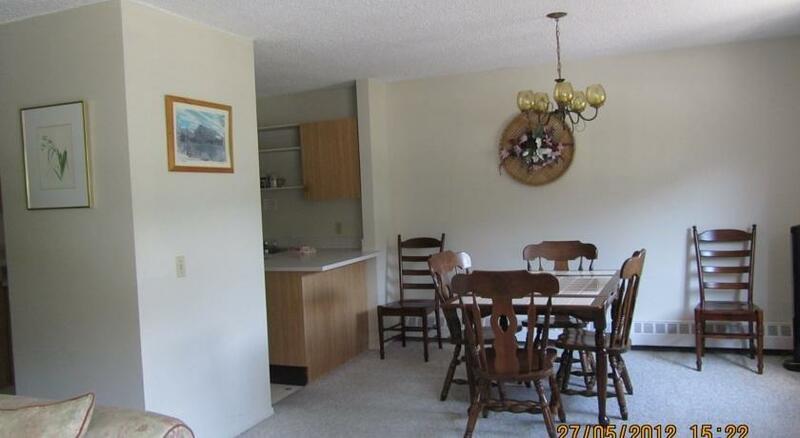 This property also offers a common kitchen and dining area. 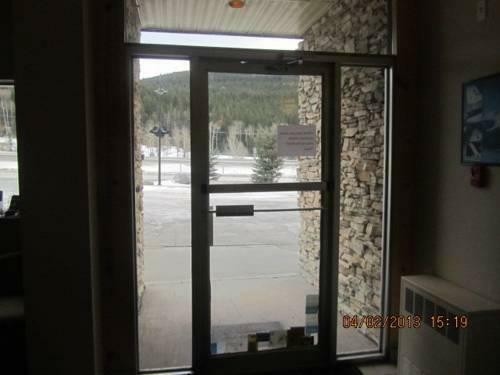 Smoking is allowed on balconies and other outdoor areas on the property. 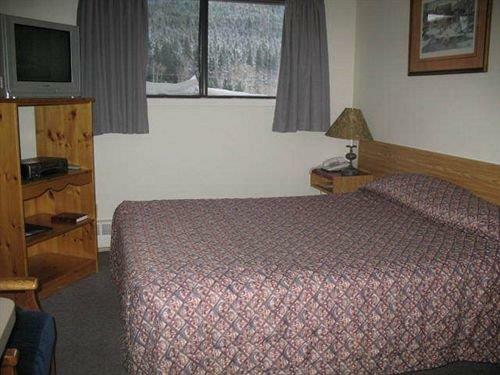 Some rooms feature mountain views. 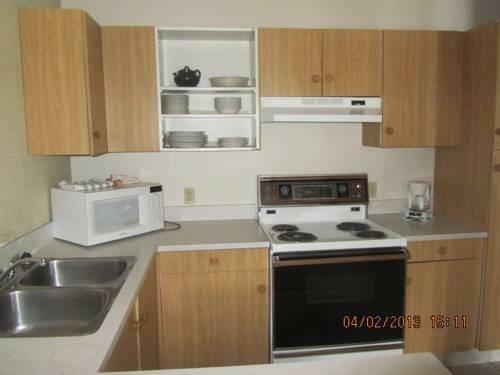 There is no on-site restaurant, but the Junction House Cafe and Market, which sells both groceries and prepared foods, is next door, less than a 1-minute walk away. 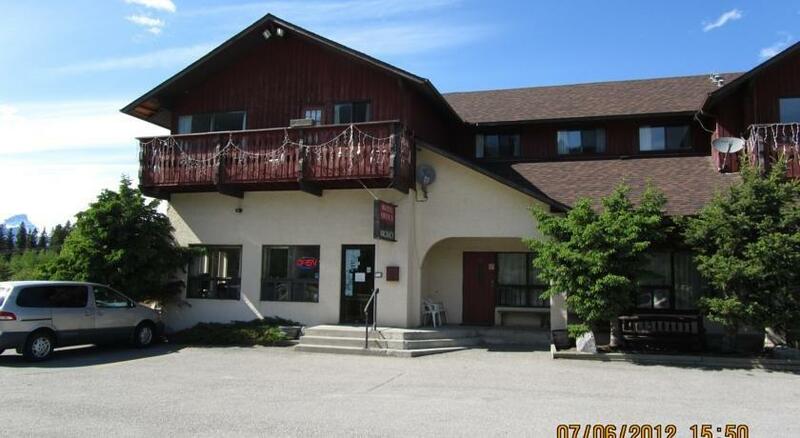 The Stewart Creek Golf Course and Elevation Place, a recreational facility featuring aquatics, rock climbing, child care and an art gallery, are both 8 minutes away by car. 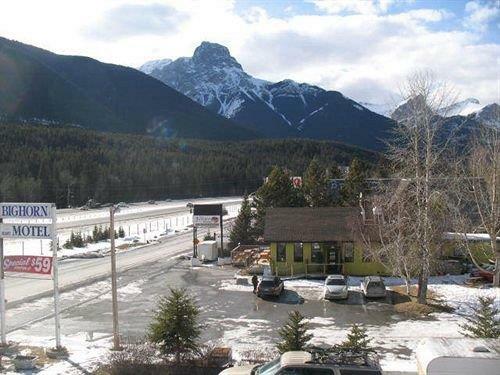 The city centre area of Canmore, which features boutique shops, restaurants, a yoga studio and nightlife, is 10 minutes away by car. 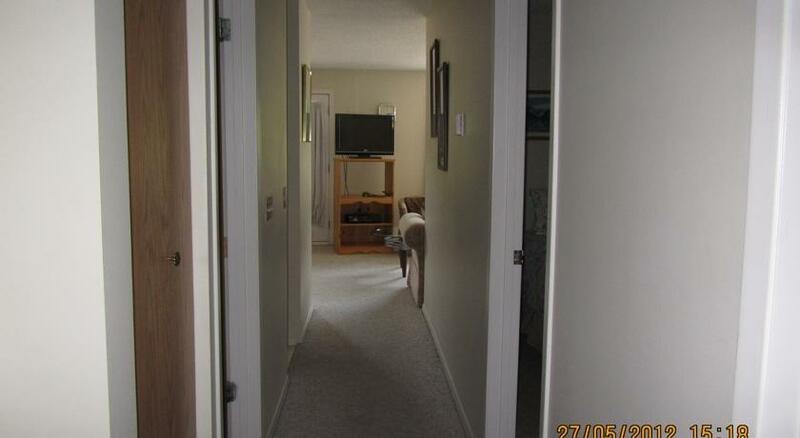 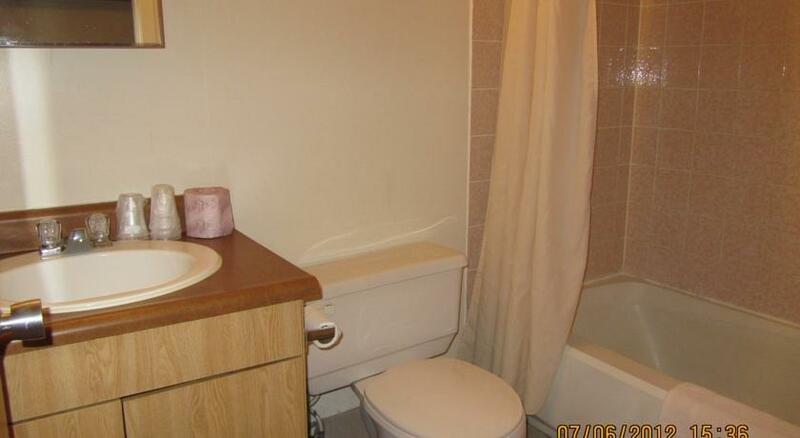 There were mixed reviews for this property, among the reviews used for this analysis. 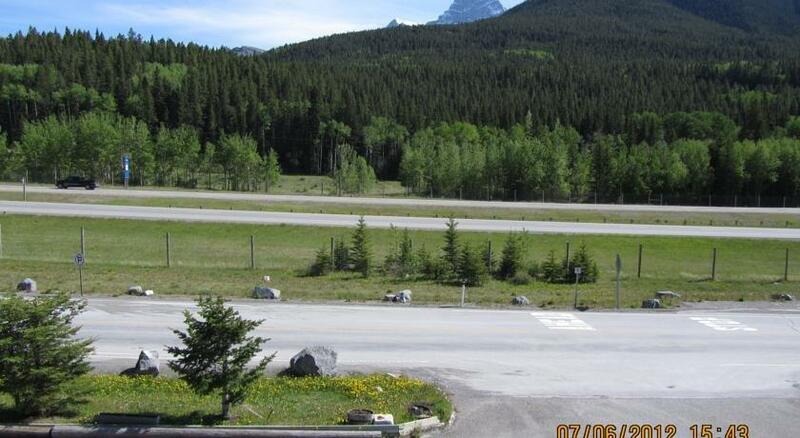 However, many guests found the location well suited for exploring the Banff and Canmore area by car. 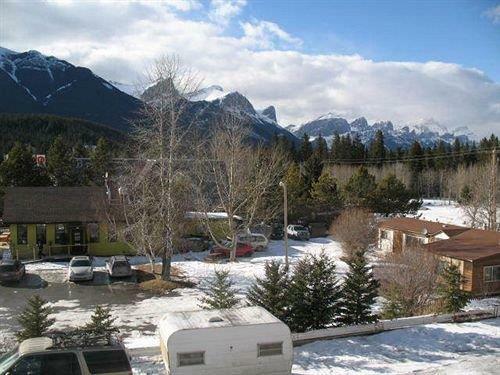 Many reviewers thought that the room rates were reasonable and one guest said that this hotel provided a great way to see both Banff and Canmore very cheaply. 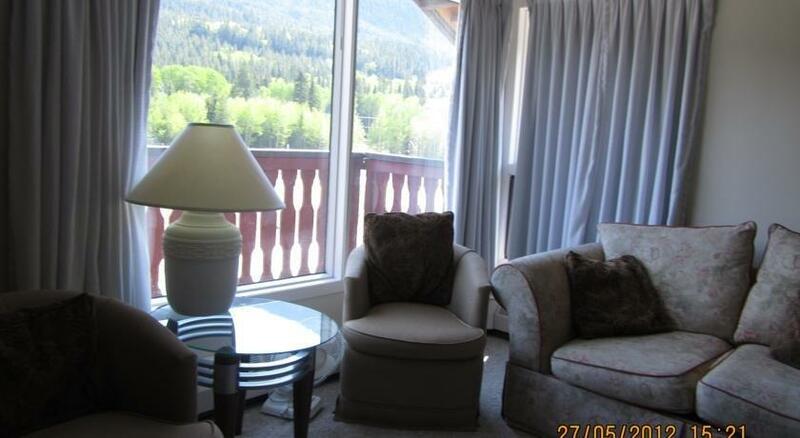 A few guests praised the mountain views from their rooms and a couple of reviewers described the staff as friendly. 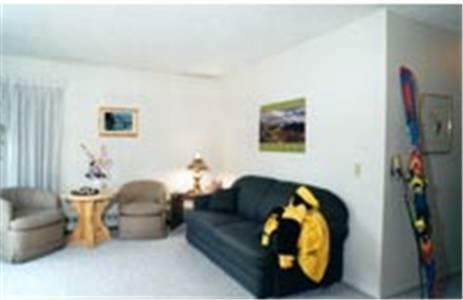 Several guests described their rooms as clean and the in-room kitchenettes as well equipped. 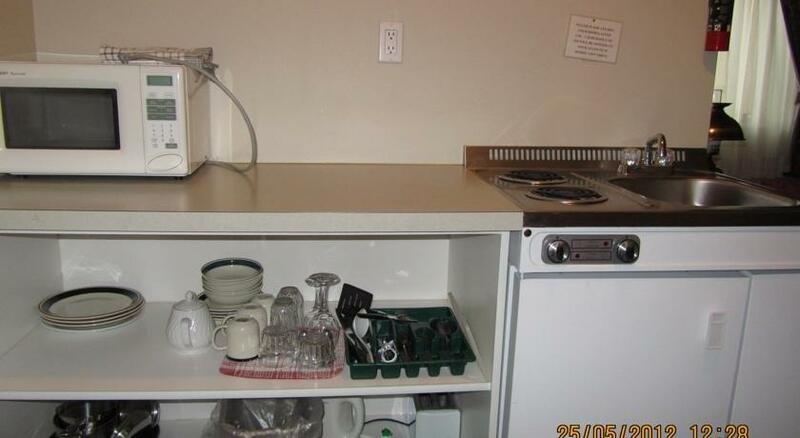 However, many reviewers were unhappy with the condition of their rooms. 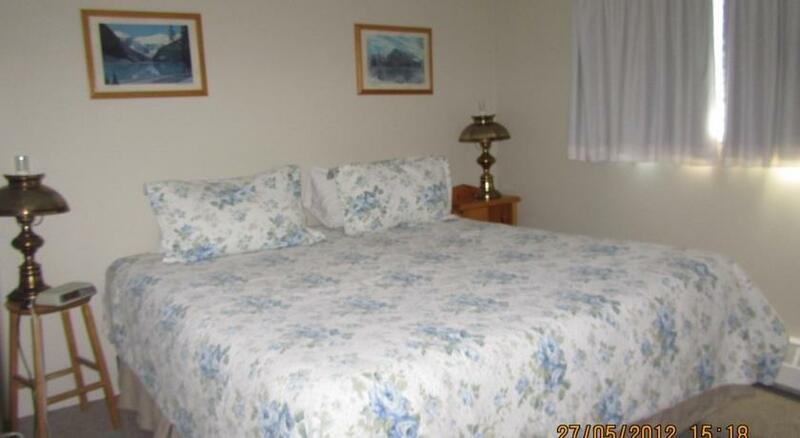 A few guests found their beds comfortable, but some other reviewers disagreed. 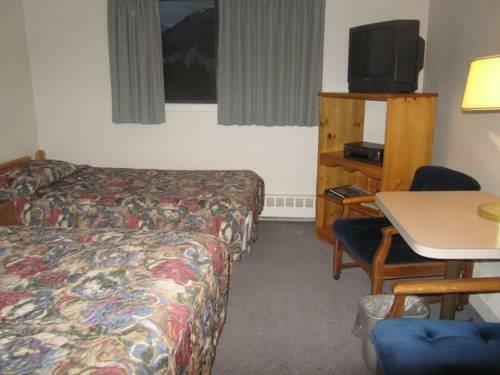 See below for more details about room complaints. 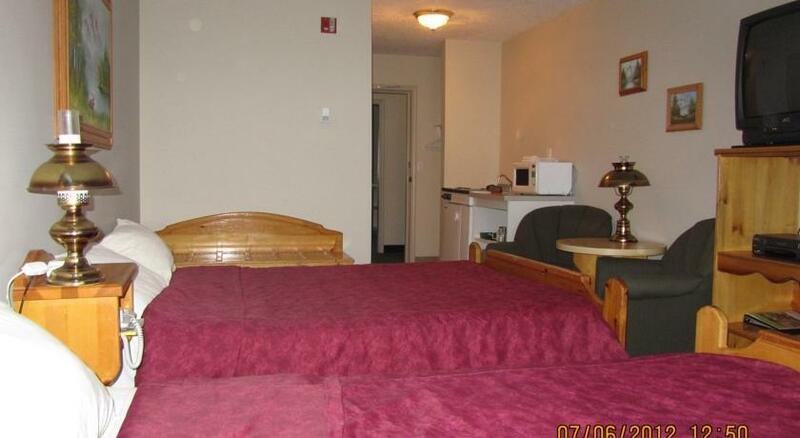 Among the reviews used for this analysis, many guests complained that their rooms appeared poorly maintained and poorly cleaned. 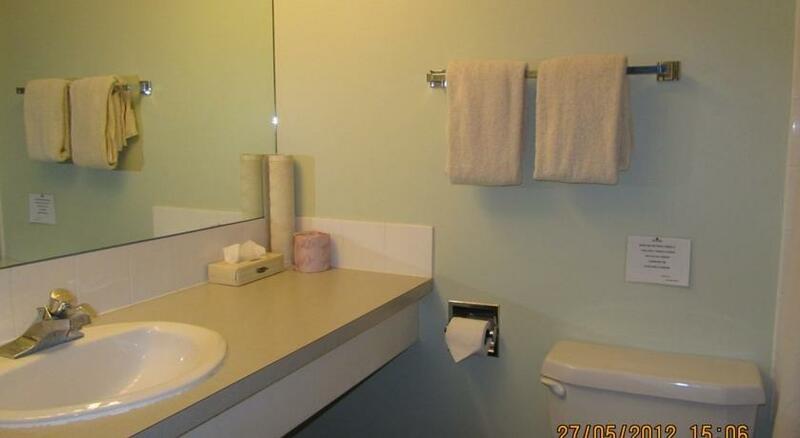 These guests described stained carpeting, garbage on the floor left behind by previous guests and bathroom tiles that were falling apart. 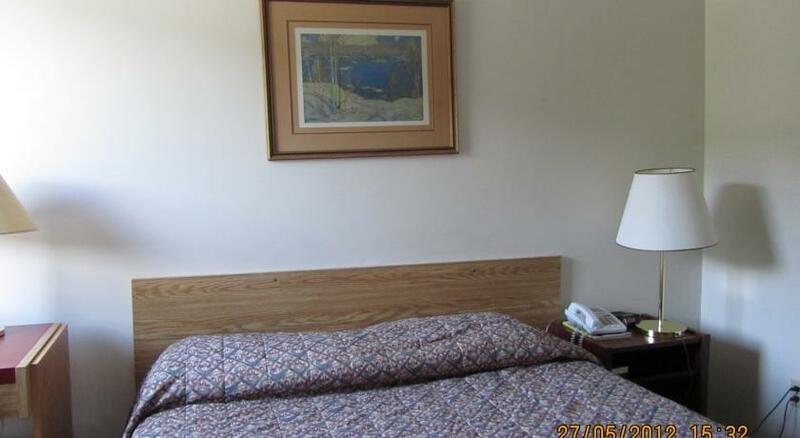 One reviewer said that her room looked like it had not been maintained or decorated since the 1960s. 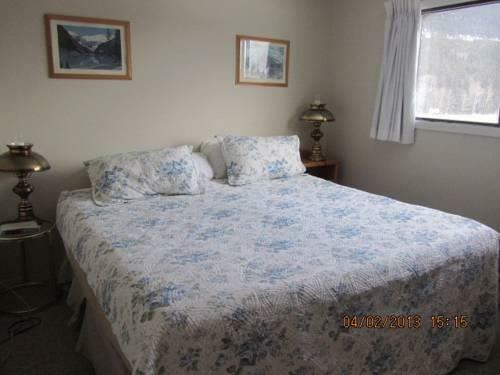 Several guests complained about noise from neighbouring rooms and traffic noise from the highway. 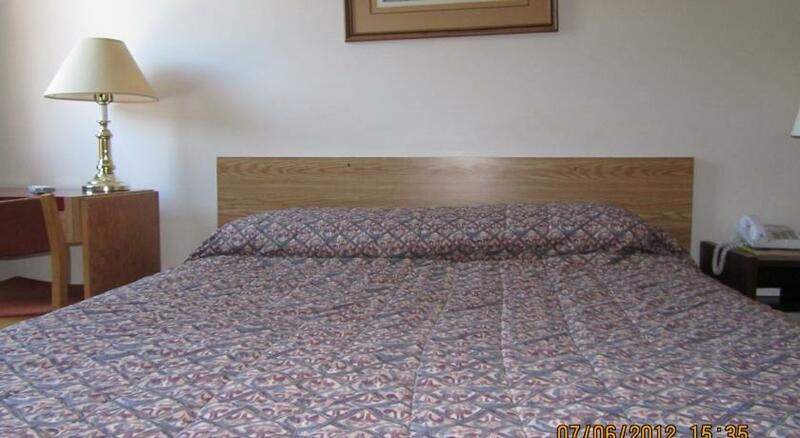 As mentioned above, several guests found their beds uncomfortable. 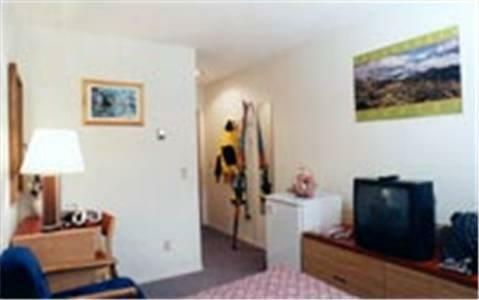 A couple of guests found their rooms to be small, while a couple of other reviewers complained about a limited selection of TV channels. 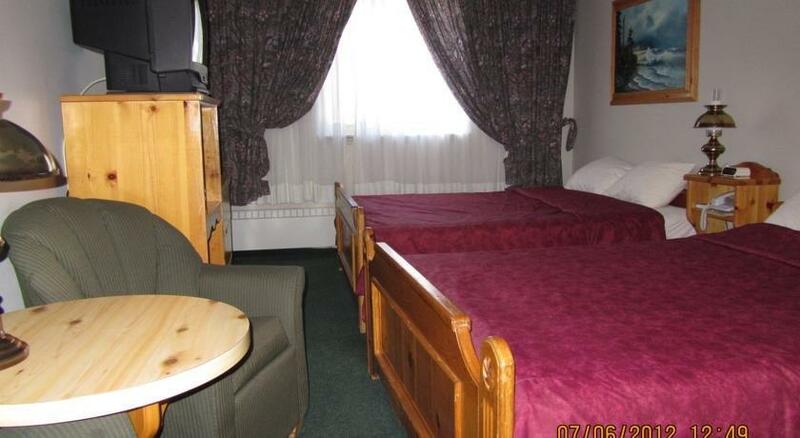 TripAdvisor.com ranked this hotel #3 out of 3 hotels in Dead Man's Flats, with an average score of 3 out of 5, from 22 reviews. 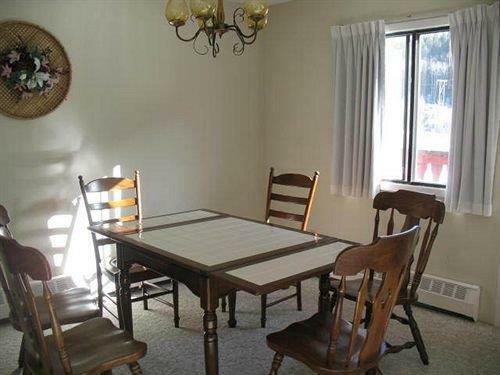 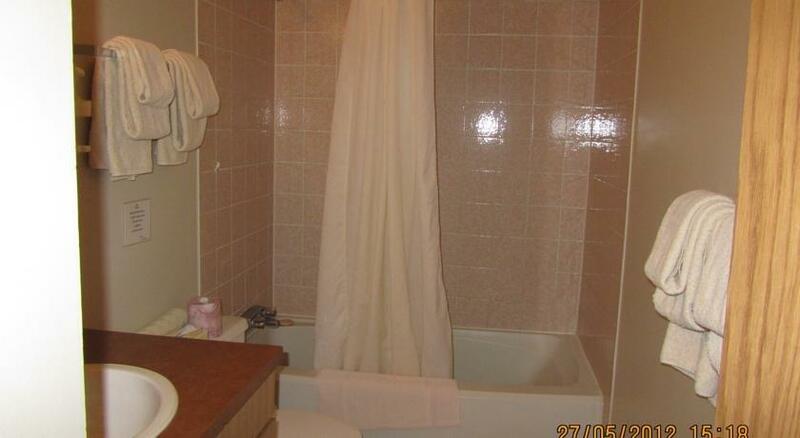 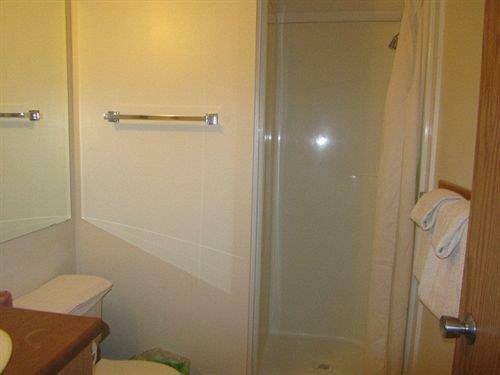 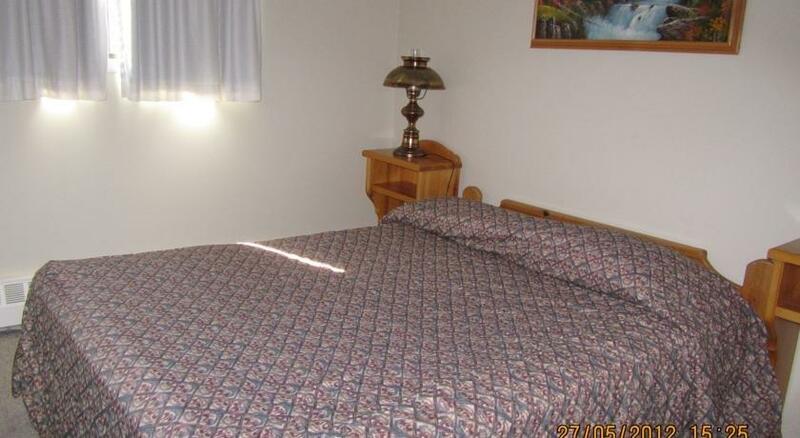 Booking.com gave this property an average score of 6.7 out of 10, based on 104 guest reviews. 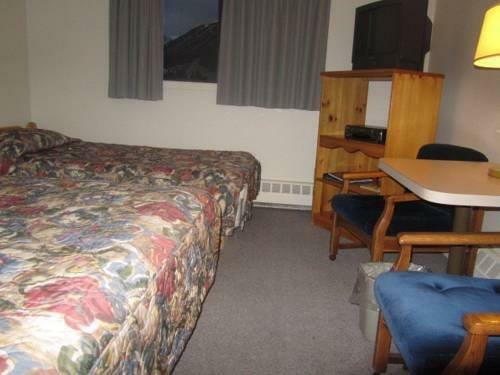 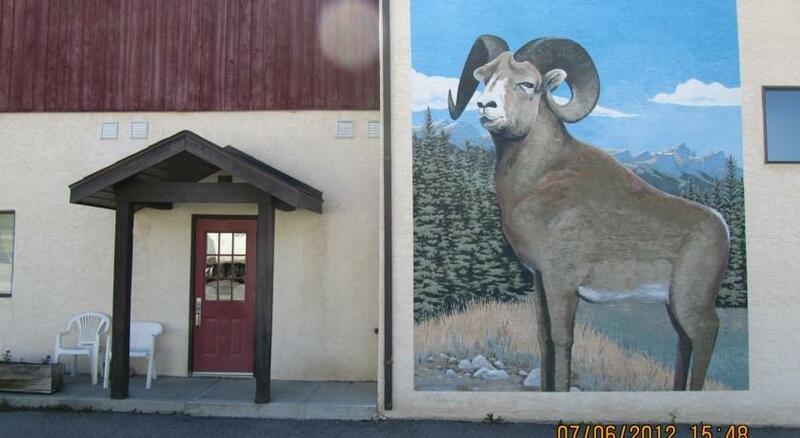 The average guest rating for Big Horn Motel is 5.5 out of 10 based on 751 reviews from past guests. 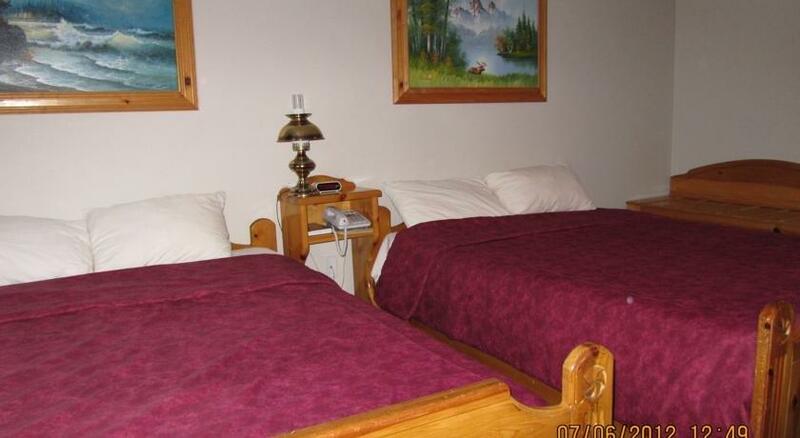 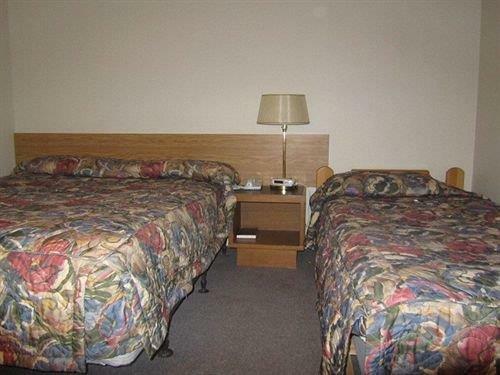 This average guest rating ranks Big Horn Motel at #2 out of 2 hotels in Dead Mans Flats.